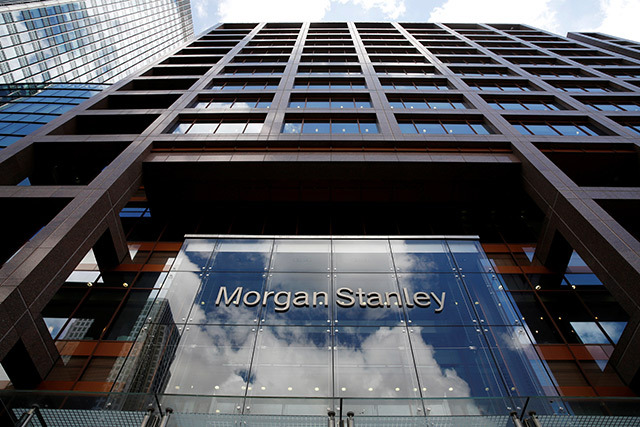 India will be among the least impacted in Asia by the UK’s vote to exit the European Union due to relatively low exports, Morgan Stanley economists said, according to a Bloomberg report. The UK accounts for only 3.4% of India's exports, the report said, citing government data. The Morgan Stanley economists also said that they expect the Reserve Bank of India to intervene to reduce currency swings and take steps to boost cash supply should outflows of foreign money cause liquidity to tighten, Bloomberg reported. Online ticket booking platform Travelyaari has raised $3 million in a bridge round of funding from existing investor GVFL Ltd, DealStreetAsia repotedciting the venture capital firm’s managing director Sanjay Randhar. GVFL had first invested in Travelyaari, which is run by Mantis Technologies Pvt Ltd, around five years ago through its SME Technology Venture Fund. It has now put money through Golden Gujarat Growth Fund I, Randhar said in the report. Travelyaari will use the money for expansion and marketing, Randhar said. iD Fresh Food (India) Pvt. Ltd, known for its ready-to-cook products such as packaged idli and dosa batter, has initiated talks to raise at least Rs 100 crore from private equity funds, the Mint reported, citing two people aware of the development it didn't name. The company, backed by venture vapital firm Helion Venture Partnersis, in talks to hire an investment bank for the fundraising, the report said. It added that the funds will be used to launch more products. The Bombay High Court has ordered liquidation of Mantri Realty's assets, including its head office in south Mumbai and 12 cars, to repay the developer’s unsecured creditors, The Economic Times reported. Mantri Realty owes about Rs 300 crore to creditors and had defaulted on payments for two years, the report said. The company had earlier tried to negotiate with the lenders for settling the claims but the lenders refused the proposal. The report cited Anil Agarwal, lawyer representing some of the unsecured lenders, as saying that the court ordered all unsold flats will remain in its legal custody and that the sale proceeds of these flats will be used to settle the creditors’ claims. Aadhar Housing Finance will raise Rs 60 crore from International Finance Corporation (IFC) and Wadhawan Global Capital Pvt. Ltd, The Economic Times reportedciting the mortgage lender's CEO Deo Shankar Tripathi. The housing loan provider will use the funds to double its business, the report said. Tripathi said the exercise would prelude its proposed merger with DHFL Vysya Housing Finance, which is also owned by the Wadhawan family. Starbucks Corp. and Tata group are strengthening their ties beyond India with the world’s largest coffee retailer set to introduce the Indian company's single-origin coffee in the US and its Himalayan mineral water in Singapore, the Mint reported. Starbucks will also launch its specialty tea brand Teavana in India, develop a signature Indian tea blend with Tata group and introduce Starbucks coffee on Vistara flights, the report said citing a company statement. India has become Starbucks’ fastest-growing market since the first cafe opened in 2012 in a partnership with Tata Global Beverages Ltd. Since then, the chain has expanded to 84 locations across six cities, the report said. Tata Advanced Systems Ltd is likely to form a joint venture with US-based Bell Helicopter to bid for a $2 billion navy helicopter manufacturing contract, The Economic Times reported. The contract, which falls under the Make in India mission, encompasses the manufacture of 100 utility helicopters to be operated from warships, the report said. The proposed JV will face off with a Mahindra-Airbus venture, the report said, adding that the competition will be between Bell 429 and the Airbus AS565. The contract is the part of a drive to replace the ageing Chetak helicopters and modernise the Indian navy fleet, the report added.